On a bit of a creative momentum. Been finishing a lot of new songs lately, trying to figure out why. I would say that I normally start a lot, but I won’t put the time into it if I feel that it’s not worth finishing. Or maybe I have another idea and I move on to the new shiny. A lot of “writing coaches” talk about finishing everything, no matter what, and maybe that’s somewhere in my head? I already have 14 songs in the running for a new record, falling under the working title Precious Melodies Against Satan’s Devices. Yes, an old Puritan reference. Or perhaps, Old Hundredth. So, yeah, a creative momentum. Not this week, though. Been an odd week; with a combination of a persnickety sickness and fistful of snow days, I didn’t leave the house for almost a week. Wednesday was my birthday and it was a quiet one, at home with my children, playing Legos, fielding hilarious calls from loving family members. Around the site here, I’ve attempted to re-working my bio in the STORY section, and make sure there are listed lyrics for the last two records in the SOUNDS page. 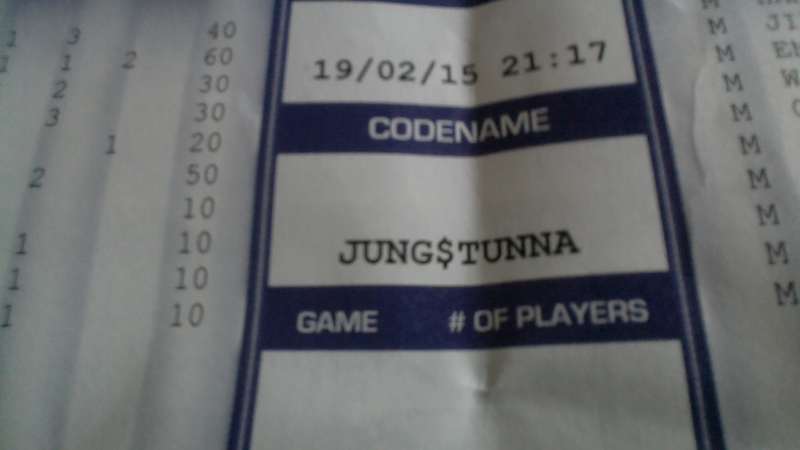 The other night I played LaserTag for a good pal’s bday, and the mob of us were required to pick codenames. There was a score system to tell you who you shot and who shot you, and 10-year old us’ crawled out of our skins. Hanging out with such a group of clever guys keeps the laughter flowing like wine, and we had a couple version of codenames of my friend’s mom, and two alternate spellings of his dad’s name, and mine, JUNG$TUNNA—yes, as in Carl Jung, shooting lasers into everyone’s collective unconsciousness!! I enjoyed everyone’s humor point of view, and I might wager that’s why we like who we like. I’ve been re-reading sections of Paul Zollo’s weighty tome Songwriters on Songwriting, specifically the mid-triptych of Leonard Cohen/Van Dyke Parks/Randy Newman/Harry Nilsson. If you haven’t checked it out, Songwriters is an essential musicological primary sources and an embarrassment of riches. Zollo compiles in one volume his interviews with “classic” folk/pop/R&B/country songwriting heavyweights whose careers peaked between the 1950’s through ’80s. It is the kind of book that works in small chunks, as a desk resource and bathroom accoutrement. So many of the interviews sparkle; many take considerable time to digest the gold. 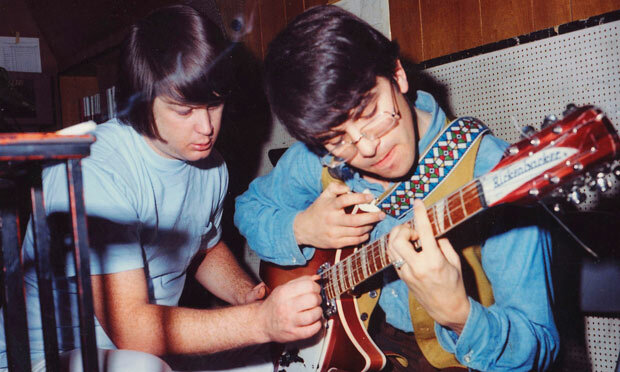 (The Incomparable) Van Dyke Parks mentions in passing, that his perspective on lyric is that all lyric is is an illustration of a point of view. My copy’s at the office and it’s a snow day, but I have the Fourth Ed, and it’s in that chapter, beginning on pg. 295. I can show you practical ins-and-outs regarding lyrical technique, but I can’t make your lyric interesting. It’s your POV that will help your lyric from falling flat. A former colleague used to say that people respond to feel over perfection. This is why you can have an amateur lyric that shakes your soul, and at the same time have an elaborately well-articulated idea in with perfect meter, rhyme scheme, and prosody that sounds like it was written by a robot. And everything is adjusted to taste. I’m picky, and you may hate what I like, and vice-versa. This is ok as well. We like points-of-views like we like people and personalites. And isn’t that what a lyric is? An extension of someone’s personality? This is the case I’m trying to make, at least. The point-of-view becomes the vehicle for your aesthetic values and art philosophy. I once had–I wouldn’t call them lessons, because they were more collaborative feedback sessions on the artist’s work–but I worked with a really cool songwriter/musician from the Faroe Islands (I hadn’t heard of it either, somewhere off the coast of Iceland and the Netherlands?). I think he’s now hung up his rock n roll hat and become a sheep farmer, but the kid was genius. He told me that in every song he had three values he worked to integrate: a spiritual truth, something humorous, and something dance-y, or movement oriented. He posited that if you could get the audience to become physically involved, the band could make quick work of their minds and emotions. This writer had an enjoyable and distinct point-of-view, and I had found a brother in values from across the sea. Find more out the perspective that you love–what you love, finding out why you love it, someone else’s values mirror your own in a point-of-view that is sympathetic, empathetic, or seductively contrary to their own (or parents: see: hip-hop, heavy metal, every teenager everywhere). Your point-of-view then becomes a vehicle for your values, your writing isn’t a utilitarian vehicle for your values. You don’t like the color blue, and then find a car you can spray paint blue just to show it off, right? That’s why I love the song Susanne: values of spiritual, and earthy. Same thing with Running Up That Hill (Kate Bush) and One of Us (Eric Bazilian). God is real in these songs, he has a phone and lives in a building, maybe, thus preserving mystery.